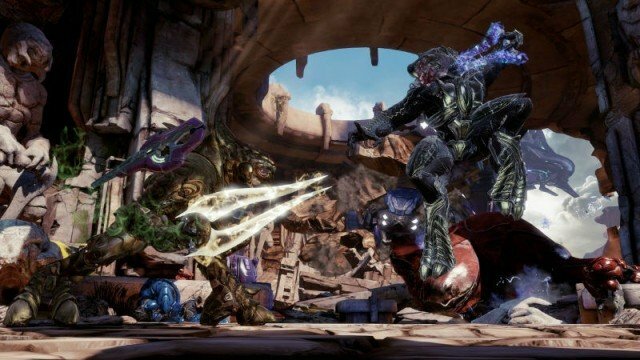 Killer Instinct: Season 3 is another solid outing from the ever improving team at Iron Galaxy Studios. Whether you've been training for awhile or you're stepping into the dojo for the first time, you'll find plenty of enjoyable content here. Truth be told, I was pretty indifferent to the news that Killer Instinct was getting a reboot with the launch of the Xbox One. Don’t get me wrong, I was happy for fans of the series that had been clamoring for a new entry for years. However, I held little nostalgia in my heart for Rare’s ultra combo-filled fighter. So, despite my love of fighting games, I mostly stayed away from the reboot. Thanks to the arrival of the first season to Microsoft’s Games With Gold program, though, I found myself enjoying the fighter. With the second season adding more characters and new modes, developer Iron Galaxy Studios, who took over for Double Helix Games, proved that they knew how to craft a successful fighter. 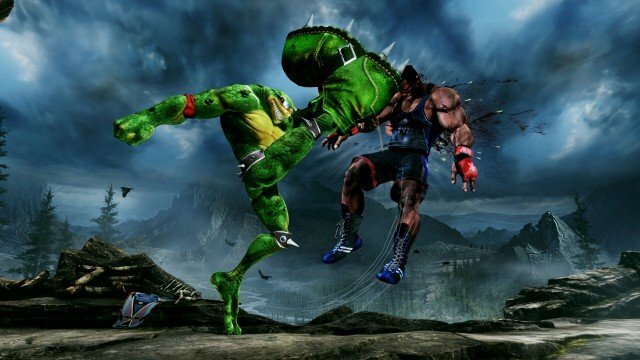 Now, almost three years into the project, Killer Instinct: Season 3 could be the biggest season of the fighter so far. Before I fully jump into my thoughts, I should probably open with the fact that the season is far from complete. 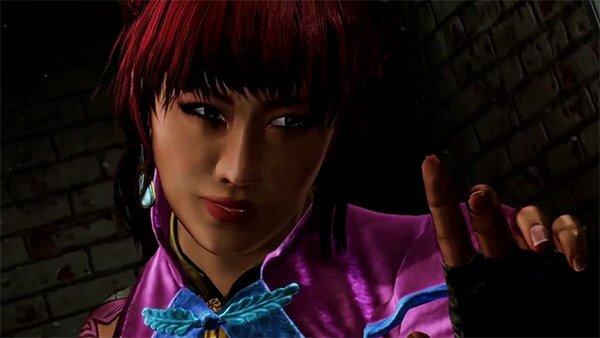 Four more fighters are set to be released over the coming months, including the vampire Mira and returning baddie Gargos. Besides the Windows 10 compatibility, the biggest feature coming with the season is the upcoming Shadow Lords mode. A unique single-player and multi-player experience, the mode will have players working to stop Gargos from taking over the world. I’ve enjoyed the single-player modes found in the other two seasons, so I’m intrigued by the premise laid out here. What we can talk about, though, are the four launch fighters included with the new season. Like past seasons, two of the new fighters come from the series’ past, specifically Killer Instinct 2. Ancient warrior Tusk and female ninja Kim Wu are returning to fight for the first time since 1996. Joining them will be two guest characters from Microsoft owned franchises. Familiar to most Xbox gamers is the Covenant Arbiter from Halo, and joining him is Rash, from internet meme favorite, Battletoads. Of the four characters, Rash is probably the easiest to use. He has the ability to launch into combos through the use of his light punch and kick attacks, which is great for quickly building up your combo meter. His attacks in general not only look great, but pack quite a punch. The battering ram, wrecking ball and big boot are effective tools that can easily be chained together for heavy damage. The creative uses for his tongue, which can be used to block projectiles as well as quickly get around, also opens the door for some creative strategies with the muscular amphibian. Like Rash, Kim Wu is also pretty easy to get the hang of. Thanks to the use of her nunchucks, you can easily chain together punch strikes, and they can even deflect projectiles. Her kicks can take a little bit of time to get used to, as they require distance in order to be really effective. Once you get the range down, though, they’re great for doling out damage as combo-enders. The one aspect of her that I still need time to play around with are the dragon spirits she can summon. I’m pretty terrible at using them effectively, but seeing videos online help showcase the potential they have in combat. Arbiter has been harder for me to get a handle on. Fans of Halo will recognize most of his attacks, which include the use of a plasma sword, plasma grenades, Carbine rifle and energy shield. When I play Killer Instinct, though, I’m a fan of fighting up close, which is not where Arbiter works best. Most of his attacks work better from a distance, specifically the grenades, which can do damage to yourself if you get caught in the blast radius. I can see people learning how to use his abilities effectively, but that’s just not how I operate. Finally, Tusk is the only character I really don’t enjoy using so far. As a big man, he doesn’t have nearly the speed as the other three new characters. Like Arbiter, he can be extremely effective from long-distance, as his massive sword is quite powerful. His deflect window, which allows him to counter opponent attacks while he is attacking, is an effective tool as well. What I keep going back to, though, is just how slow he feels in comparison to his roster mates. I like speed, and I feel the game works best at a faster pace, so his slower speed is a buzzkill to me. Besides the new combatants, season 3 also brings new tweaks and abilities to the fighters found in the first two seasons of Killer Instinct. Some of these additions are just upgrades to attacks the character already had, such as the ability of Jago to delay the release of an Endouken. Other additions are complete new abilities, though, like Riptor’s Flame Mortar or Sadira’s Salticidae. I’m not going to go over every single change, because frankly, there’s way too many, but you can find a full list here. In addition to all of the assorted content updates, the new season of Killer Instinct also brings some graphical upgrades with it. While the rebooted series has always had a pretty unique style, the new level lighting system gives the game a pretty significant facelift. The three levels included in this release, as well as all previously released levels, feature excellent detail and look more alive than before. The detail in each of these levels add more personality to a game that already was overflowing with it. All that being said, there are a few small problems I have with the season 3 update. For starters, the menus in the game still run surprisingly slow. I’m also not a huge fan of the ranking resets online. Surprise, surprise, I’m still not that great at the game, and before the new season, the matchmaking online was pretty great at matching me up with similar-level gamers. Thanks to the reset, though, I’ve been facing off with more and more players that should have been ranked way above me. I expect this to level off over time, but for right now, it’s a little discouraging. For those already invested in the title, I don’t need to tell you that Killer Instinct: Season 3 is worth purchasing. The new characters are, for the most part, great to use. What’s really promising, though, are the content updates set to go live over the next few months. And for the new players, specifically those on the PC, now is as good as of a time as ever to jump into Iron Galaxy Studios’ addictive brawler. There’s plenty of content available, and the excellent training tools can help anyone become master warriors. When it comes to what’s currently on the PC, it’s among the best fighters on the market. This review was based on the Xbox One version of the season, which was provided to us.